Download PDF What’s Wrong With My Dog or Puppy? What’s Wrong With My Dog or Puppy? This is the revised edition of veterinarian Dr. John Rossi’s extremely popular dog care handbook. 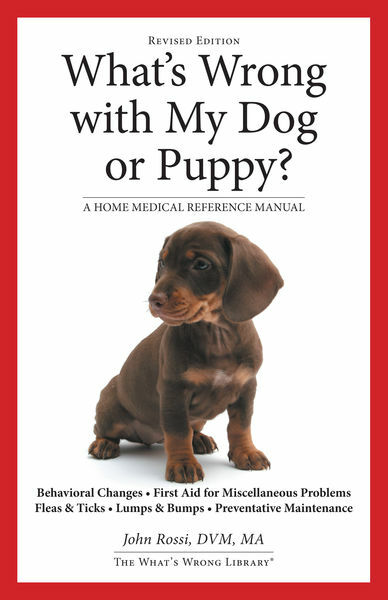 It is an inexpensive, concise, potentially life saving book about dog health and pet care. For dog owners, it will be an essential addition to their library. This book is not an inclusive treatise on all of the diseases and treatments of dogs. Rather, it is a brief summary of the most common signs (problems), their likely meaning, and first aid for these problems. Quick and common sense solutions to dog health problems are discussed, and the reader is advised when professional help is needed. This book is also well illustrated, which helps in the recognition of the problems discussed. This approach saves lives. Dog, Puppy, Whats, wrong permalink.